1.Flower-de-luce necklace is the perfect addition to the festivities,lighting up the night. 2.This necklace can be set to 4 different light modes:Flash-fast flash-Intermittent flash-off. 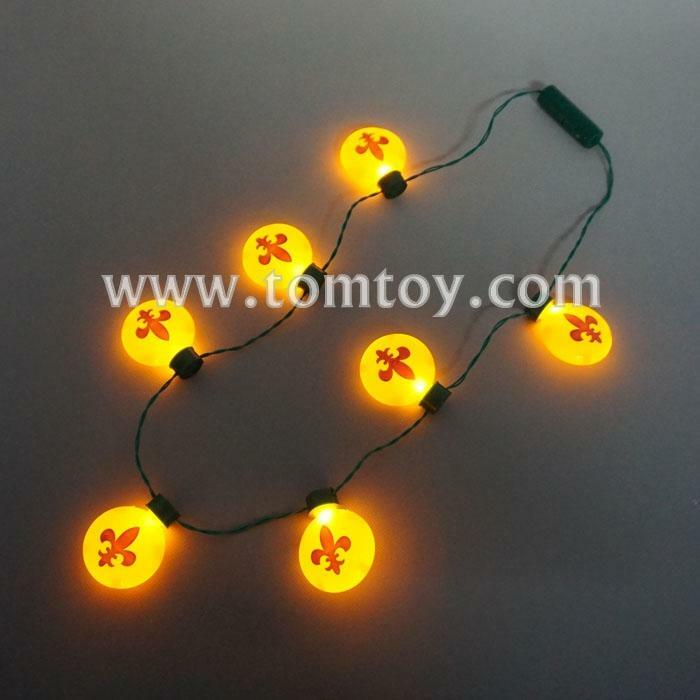 3.Features with 7pcs yellow bulbs,flower-de-luce prints on the bulbs. 4.Each necklace comes with 3pcs AG13 batteries included and installed.